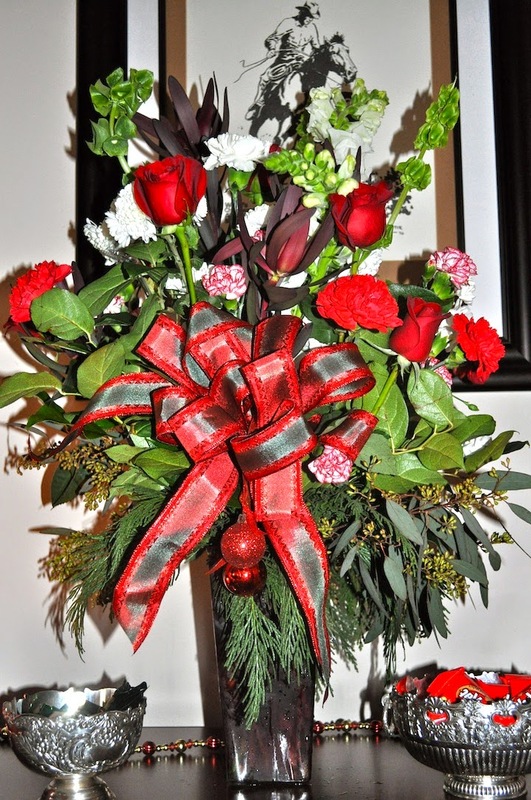 On Christmas morning my Mom woke up peacefully to wander downstairs to make a hearty breakfast at an easy pace. As we did not need to do our usual Santa present madness this year as it was just us big kids to entertain. Christmas ham, hash potatoes and sunny side up eggs fueled us for a relaxed day ahead. We opened a few presents after breakfast. It was fun for me to play Santa and look at the faces of family as they opened each package. I would have to say, Scott was the best gift giver - my Mom cried with tears of happiness! Now that is what Christmas is all abut, making family happy! My Dad got tons of books so he tore into them and starting reading after breakfast. And finishing them off in the oven! I even made my Oven Baked Risotto recipe. It is a winner every time. Too big of an Le Creuset pot for just 8 serving of risotto but it did the job. James request these Stuffed Peppers at every holiday meal. Bacon, sausage, cream cheese, green onion... Easy peasy. Dinner is served! It is not the most visually attractive meal but it tasted like heaven. Rich, creamy and totally the right amount of food. Everyone cleaned their plate and there were no left overs... Now that is the perfect sized meal. Butter and cream live here. Two of Santa's favorite elves! I love, love, love going back home for Christmas. My parents are always the kindest hosts, cook the best food and make you feel so welcome. 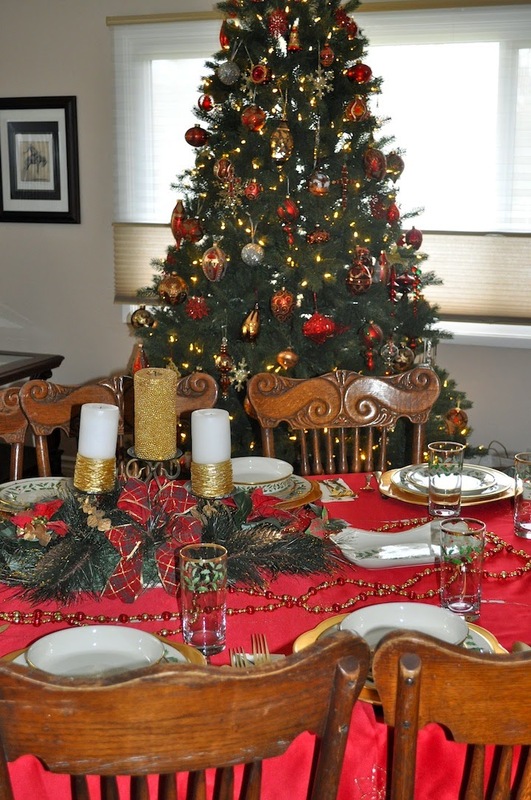 When I pulled into the driveway on Christmas Eve my Mom's house was already beautifully decorated and her cooking was in full swing. 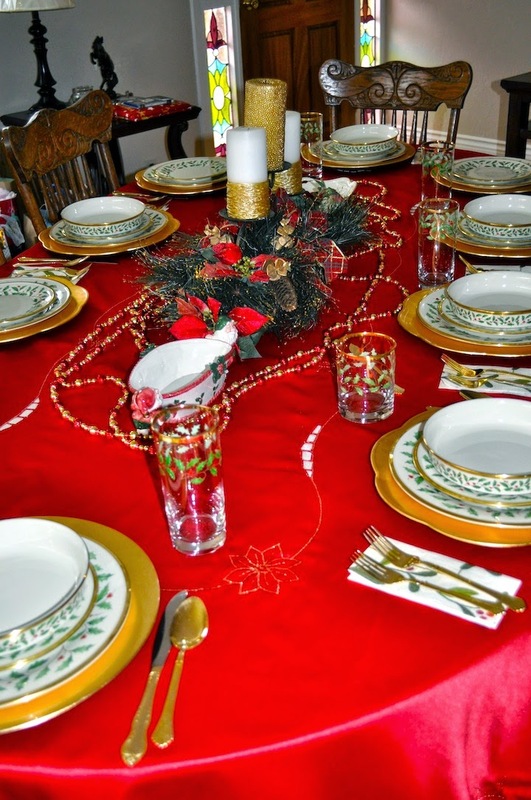 Our table settings used to set for 30+ people but now they are usually set for 8. It is way less hectic and a much more enjoyable experience for my Mom I am sure. 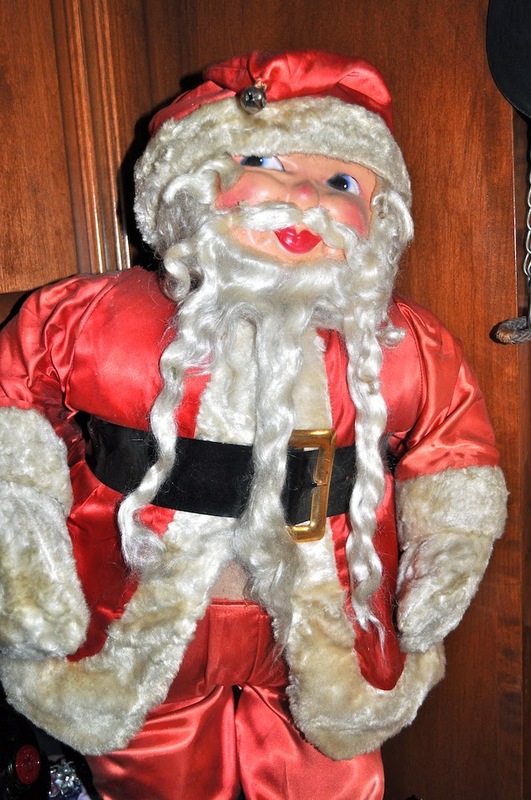 This Santa has been a part of every single one of my Christmas holidays. My Mom thinks he was born in the 1950's, I just like his jolly spirit. 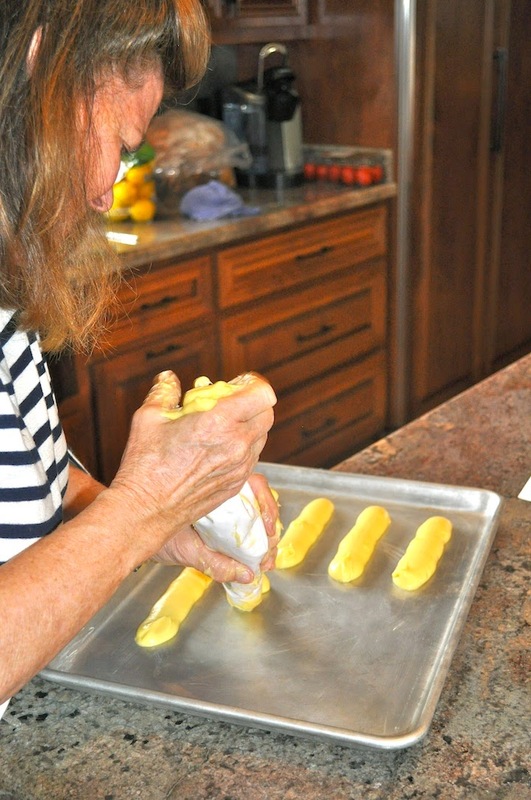 My Mom was making eclairs when I walked in. She then stuffed them with custard and whipped cream. She is just an amazing cook. While she was making the desserts, I took a selfie. Christmas time is always the best time. We didn't put out too many appetizers because we didn't want to be stuffed for dinner. My Mom was so kind and made me my favorite Chicken Liver Pate, I ate this until dinner was served and was perfectly happy. 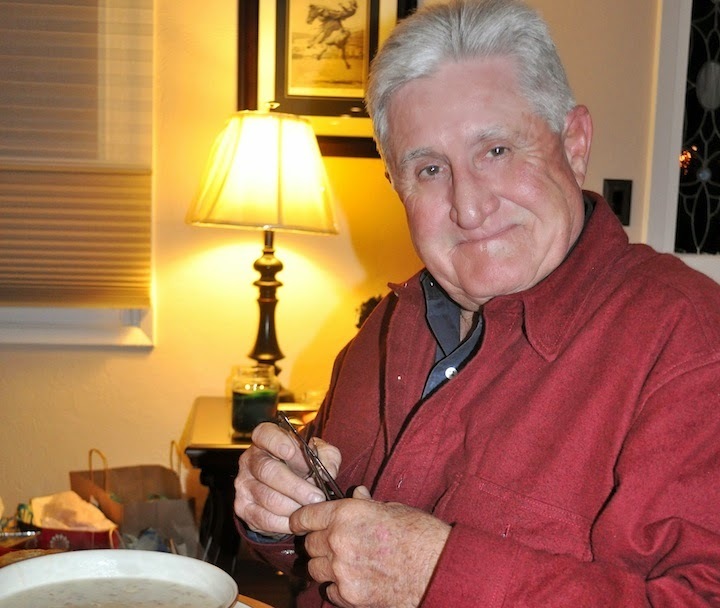 It has been a Christmas tradition to have soup and crab the night of Christmas Eve. My Mom would make clam chowder and sometimes split pea soup and then serve up hot buttered rolls. It is perfectly filling an a nice segway into the next day's full cooking agenda. I love soup so it is always is a favorite for me! Cracked crab from Stagnero's in Santa Cruz is the only way to go for a fresh seafood platter. The crab was sweet, fresh and totally meaty. Hey party people! 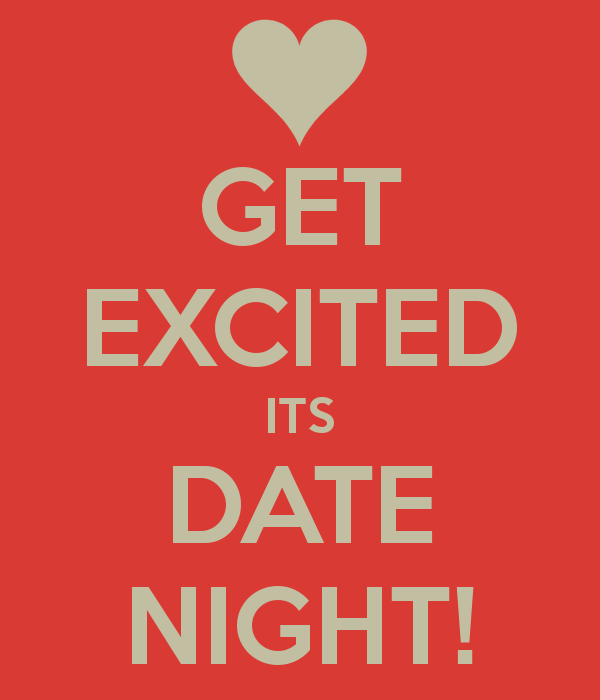 I know last night was only a Monday so I shouldn't be so excited for a wild, date night on the town but in my humble opinion these are the best nights to go out! One, you never really need a reservation to go anywhere and all the really wild, obnoxious people are probably at home nursing their hangovers and wounded bank accounts. So we date on Mondays! We always start off with a nice meal and then venture into a movie, so lets go! We started off with the Smoked Albacore Crostini with a roasted tomato and dill cream sauce. It was good. A dainty starter, two pieces each but totally a perfect way to start the meal. #winning! Scott is a big fan of Yellowtail so he got it simply grilled and picked the sides of creamed corn and grilled asparagus. I am so happy he loved his fish dish considering our epic fail of an anniversary meal with Azu's halibut. He finished his plate pleasantly happy. I ordered my old, faithful winner of a plate - Idaho Trout Almondine with a parmesan potato cake and cilantro corn salad. This is a fantastic plate of food. It always takes me forever to finish it but I do end up eating every bite. Just give me some time and I promise the plate will exit completely empty. With our tummies full, cheeks sore from laughing and hands intertwined we wandered up California Street to catch the 7:00 showing of Birdman! We have been so excited to watch our favorite actor, Michael Keaton, in his movie so we bought our tickets and took a seat. 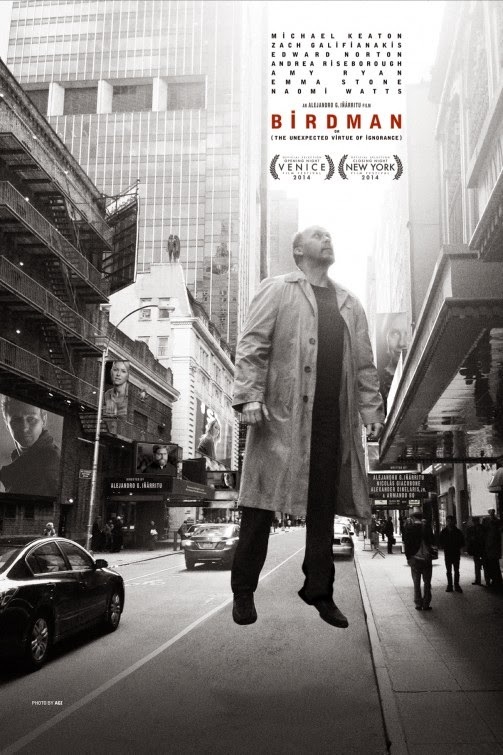 Michael Keaton does it again, outstanding performance. So I have to come clean, I love soda. I have a whole refrigerator in my house dedicated to the bubbly cans of sugar. It is called the "soda fridge" and is stocked regularly. When I have mini visitors come to the house they marvel at all the selections they can choose from. I like mixing it up so I bought "Cactus Cooler" - an orange and pineapple soda that is quite refreshing. I did a little bit of research on the soda and found out it is owned by the Dr. Pepper Company and is based mainly in Southern California for distrabution. 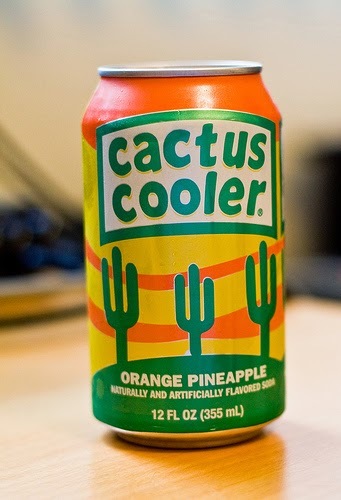 A random fact about Cactus Cooler is that it was the favorite drink to Fred Flintstone on the cartoon The Flintstone's as a promotional ploy to introduce the soda in the 1960's. Our Anniversary dinners are always special to me. We usually spend them at The ranch House but due to a last minute plan change we ended up at Azu. I had been there with Dana for lunch not to long ago and enjoyed it so I was very excited. We ordered a celebratory cocktail and cheers to many more years! 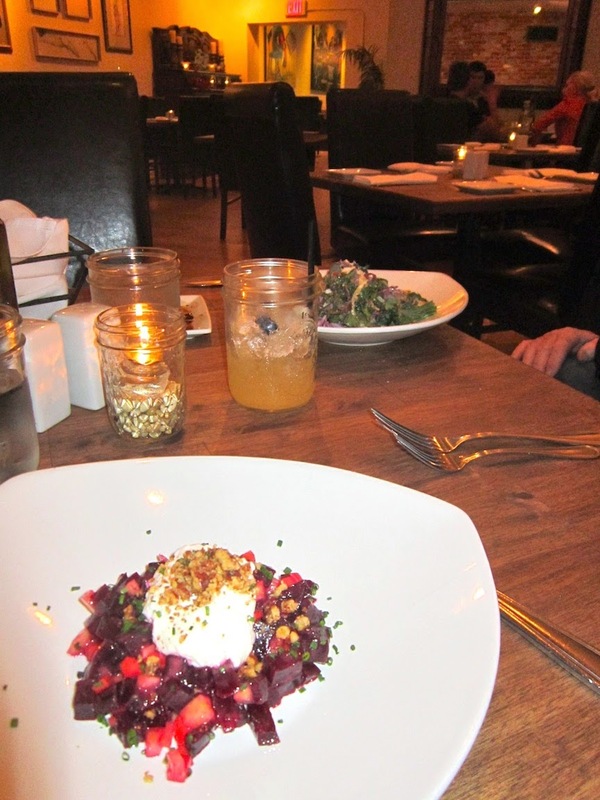 Our starters came up and I was excited to dig in to my Beet and Burrata Salad. The cheese was lovely but the beets shared a plate with pickled carrots hat shocked the soft texture of the cheese and beets. I could have done without the carrots and just sunk my teeth into the creamy cheese and vibrant beets. The waitress talked Scott into a Kale Caesar that he absolutely loved. We both ordered the Fish of the Day and were both equally disappointed in the dish. When we ordered the halibut we both assumed it would be served in a small, thick cut as that is the way it usually served. Instead it was a razor thin, flat piece that took up 3/4 of the plate. 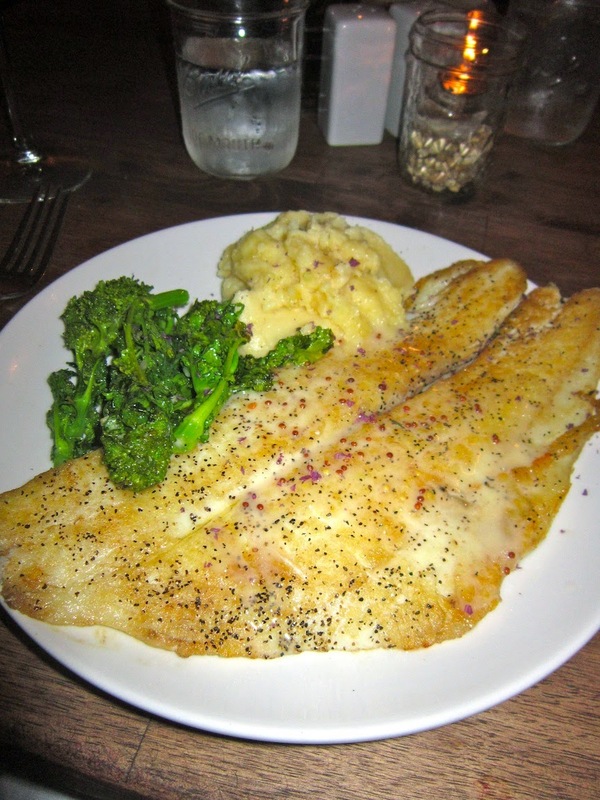 Halibut is usually flaky and easily eaten with just a fork. I had to pick up a knife and saw up a piece to put in my mouth each bite. We should have sent it back and got something we enjoyed but we were so bummed out we just sent it away after several delicious bites of mashed potato. FAIL. 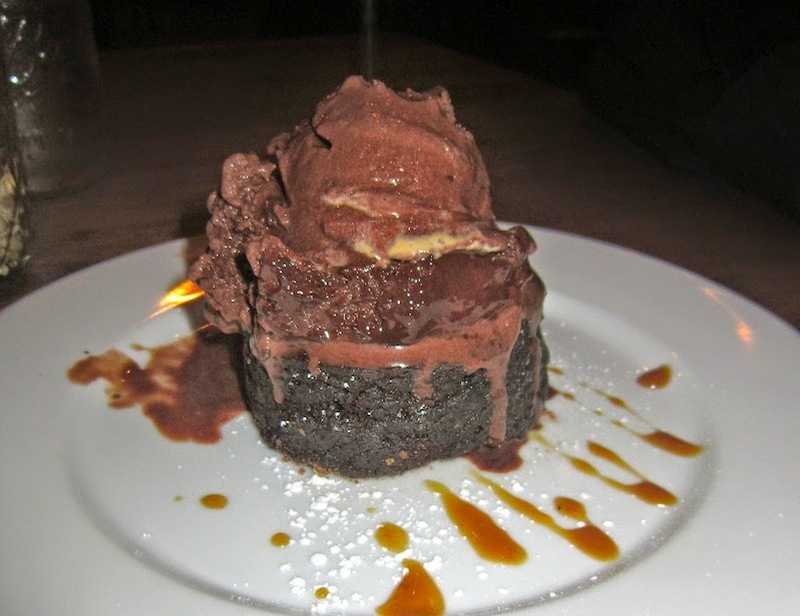 I thought a dessert might turn this night around and the Flourless Chocolate Torte at the very least put a better taste in our mouthes. It was nice. I know better than to suffer through a meal without speaking up to the waitress but it is hard to complain n a special date night with the husband. You want to appear kind, sweet and demure not a bossy lady who complains about her meal. So, we took this one in the shorts. 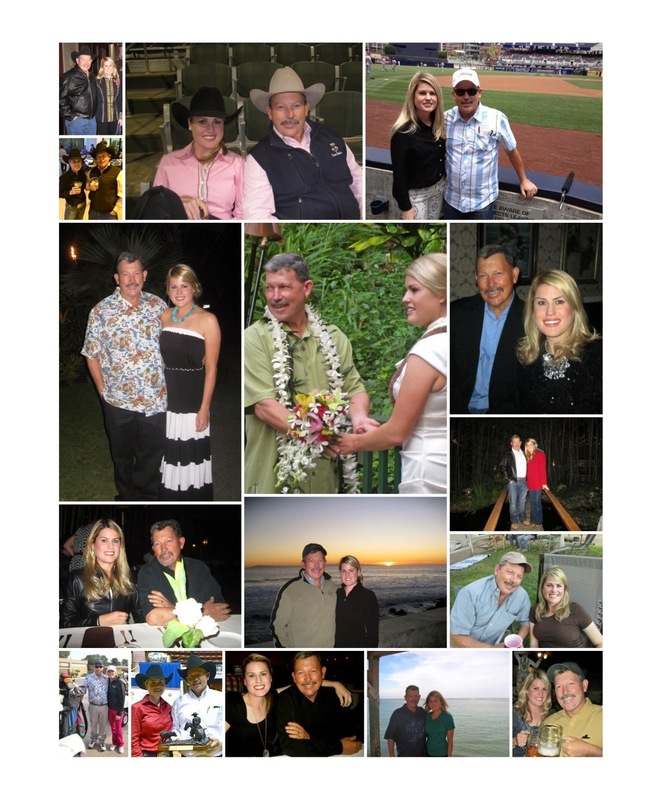 Happy 4th Anniversary to my darling husband, Scott. Not only does he encourage me to be the best Melissa Good Taste I can be but he puts up with all my crazy food adventures. Thank you! 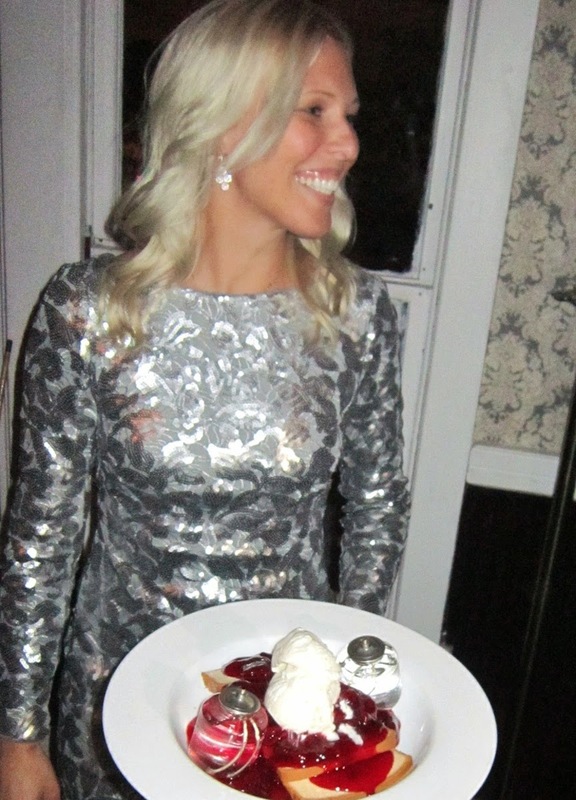 Cheers to many more years and lots of culinary delights! The Summit is a little hamburger stand located just a mile down the road from my house. It has opened and closed 3 times since I have moved in four years ago. The operators rent the building, struggle to keep it open on quiet weekdays but then completely flourish on the weekend with bikers, cyclists and tourists. It is a vicious cycle, but us locals love a place to jet down to grab some lunch. So it has officially re-opened so I decided to go support it. 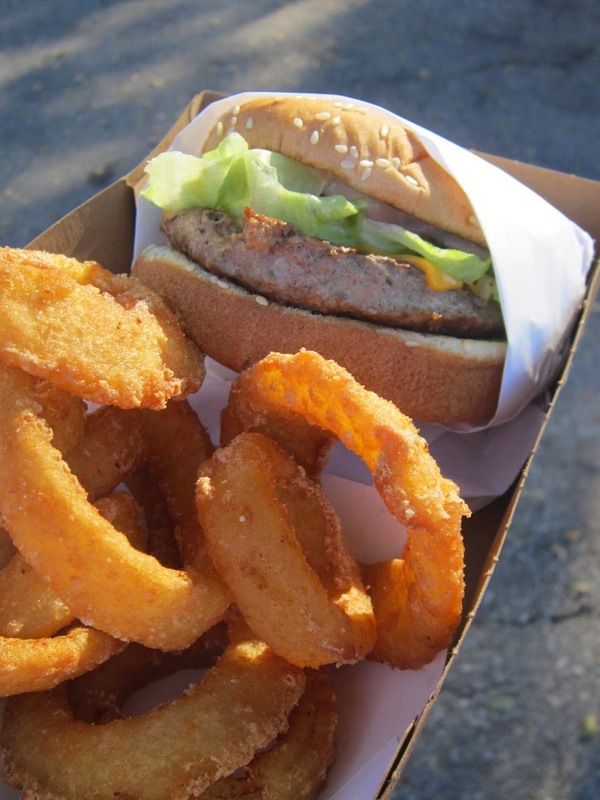 I got Scott and I a Cheeseburger and Onion Rings. The basic version - beef patty, American cheese, lettuce, tomato and onion. There are other options, like upgrades on the beef, extra patties, deluxe cheeses and bacon! I wanted to judge the most common burger first and it wasn't bad. The beef patty was not very appealing so I will for sure upgrade to the Watkins Beef option next time. Everything else was nice; soft bun and crisp condiments. The onion rings are exceptional, nothing to fault there. For $20 Scott and I filling lunch and I will return. The connivence of it all is just too perfect. We crave a good lunch after working horses all morning so I for see many trips down to The Summit to fill our cravings. My fingers are crossed for them and much success! Melt 2 tablespoons butter in a saute pan over medium heat. Add scallions and cook until softened but not browned, about 5 minutes. Add chicken livers and cook, covered, over medium heat until just cooked through, 5-7 minutes. Remove pan from heat and stir in salt, mustard, nutmeg, and cloves. Transfer to a blender or food processor and puree until smooth, about 2 minutes. Continue to process, blending in remaining 4 tablespoons butter, cream cheese, and cognac, then transfer to small bowls or well-oiled molds, cover with plastic wrap, and refrigerate until firm, about 24 hours. I serve up bites of this pâté on crunchy crostini and top with sliced red onion. Simple, classic and delicious! The RH serves their version with caperberries, pickles, watermelon radish, red onion and crostini. The pate is topped with crumbled bacon and it is just heavenly. 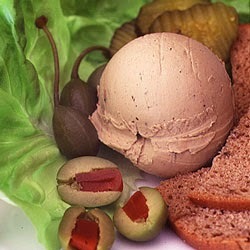 The next pâté that I have been indulging in has been the one served at Suzanne's Cuisine, also in Ojai. Her version is made with duck liver rather than the chicken version by The RH. Hers is equally creamy which tells me copious amounts of cream or butter is mixed in. No matter, it is delicious with bites of salad and sliced pickle. For a more rustic approach to pâté go to Osteria Monte Grappa. 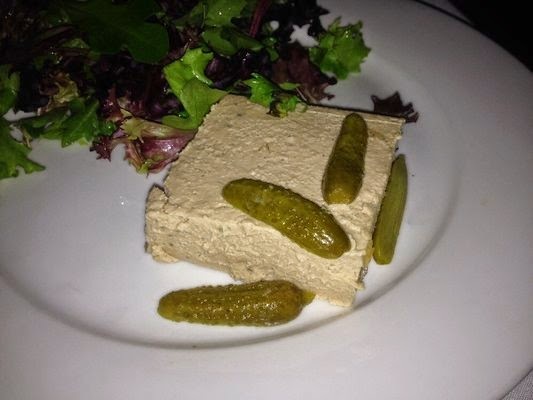 The pâté is made in house and local poultry offal is used. If i was a betting gal I would assume there is less cream and or fats added to this version based on the chunkier texture. Not smooth like the versions above that use more fat. I did not mind this version though. The grilled bread, sauteed onions and balsamic drizzle made it quite an enjoyable bite. I have started researching all things pâté because of my new love for the spreadable goodness and I have found a few interesting things to be true. Liver is high in iron, low in calories and full of vitamins A, D, E, , B12 and minerals copper and iron. I know adding lots of butter, cream and cream cheese does not make pâté a health dish but when consumed in moderation I will enjoy it one bite at a time. Have you had your pâté today? We were asked to come in our most sparkly, 1920's glam fashion. Nichole knocked the theme out of the park! From her hair, fringe dress, pearl necklaces and long fur coat. Stunning! 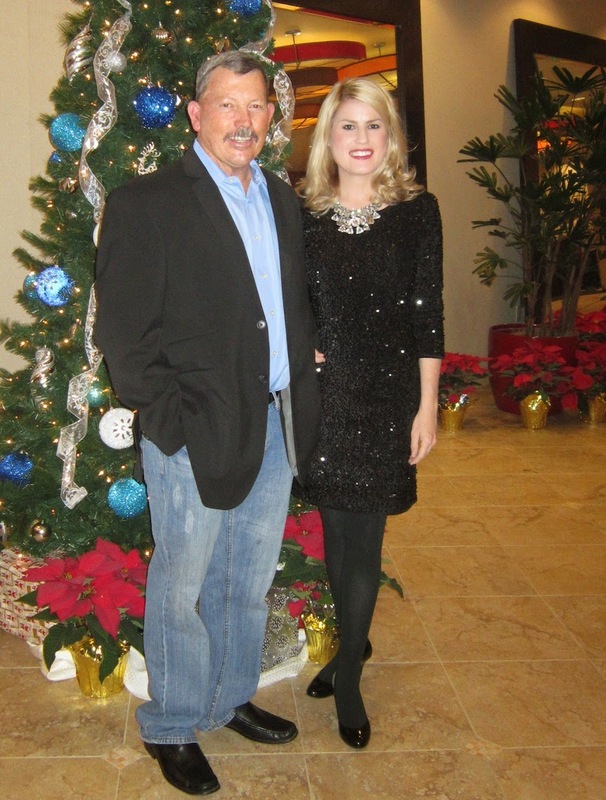 We had such a nice time visiting with our friends, playing pool on a really bad table and getting dressed up. I love a good theme party! My ladies of the night, these gals sure know how to have a good time. The next day with VC Reporter in hand i decided to try the new Asian Fusion Garden which took over the old Chinese restaurant in Ojai. Upon entering not much is changed. There are less tables in the dining area and things do look a bit more streamlined. 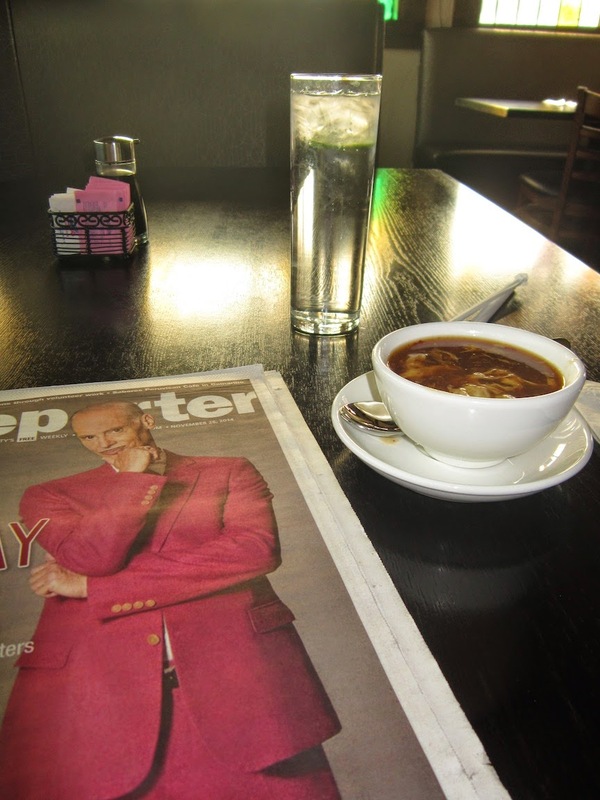 I decided to go for a lunch special and started with the Hot and Sour Soup as my starter. It was nice, it is a huge improvement from the previous owner's recipe. A pretty standard lunch plate of Orange Chicken, Fried Rice, Mini Spring Roll and some broccoli garnish. Nothing about this dish was bad. Nothing. However nothing just sand out as delicious to me. It filled my empty tank up and provided fuel versus providing this foodie euphoria. I will say I was craving larger pieces of white meat chicken rather than so many connective pieces of dark meat. The price is fair for the amount of food you receive just about $10. I am happy to support all new restaurants in my area so now it is your turn. The menu is scaled down tremendously so you can easily explore it all in a few visits. I cannot wait to try the Honey Walnut Shrimp next. Sometimes I think I have been to every restaurant in Ventura County but then my friend takes me to a new place and it inspires me to search out the places I have missed. Last Sunday Dana and I ventured into shopping madness at Michael's and Trader Joe's and decided we needed a meal to give us energy to deal with the crowds. 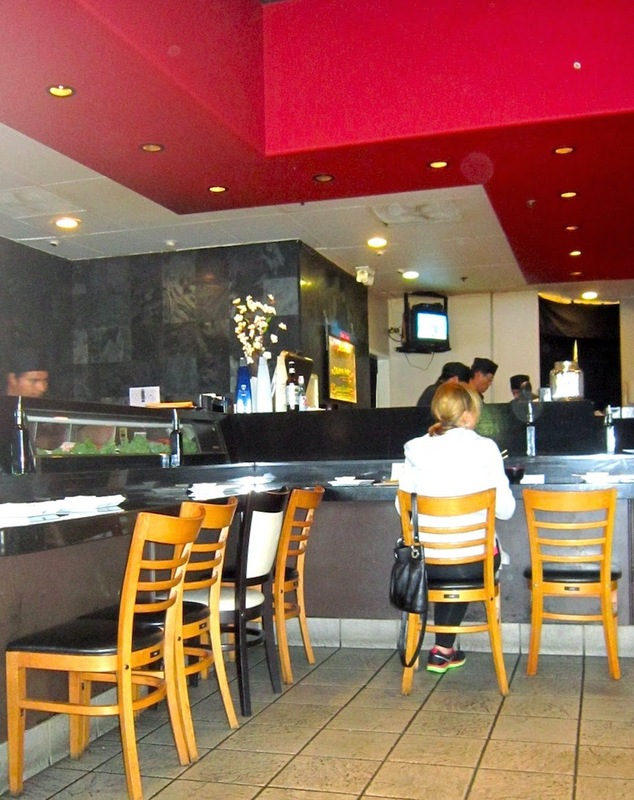 The restaurant itself is a large open floor plan that gives you options of sushi bar seats, large dining tables or comfortable boothes. Dana and I scooped up a booth while we browsed the menu. it was pretty traditional in way of special rolls, bento boxes as well as ramen soups. I decided to get down with the "Scream" Roll as it was packed with shrimp tempura, crab, spicy tuna, avocado and then topped with a cream cheese filled deep fried jalapeno! The sauce it rested in was a creamy spicetopia and topped with tobiko. Oh my, I soon found out why it was called the "Scream". It was very fiery! I soon decided to make my meal more enjoyable by removing the jalapeno and it was a wise decision because without the all the heat I could actually taste the rest of the ingredients. 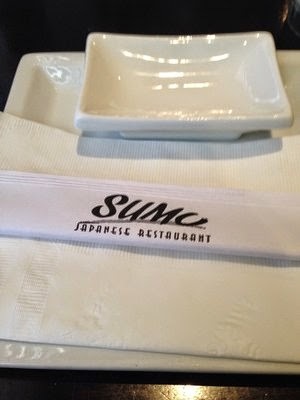 Sumo is a great place to grab lunch due to the amazing lunch deals. I wouldn't mind trying a different rolls because of the high quality of the seafood and the amazing sauce work.